The home cook can and should eat better pizza at home, and Chef shares the building blocks to making it happen! Genuine Pizza is inviting and fun, covering the basics first, so that readers can then be adventurous in their own kitchens, mixing and matching ingredients that appeal to them, to create the perfect pie. First made popular at flagship Michael’s Genuine® and sparking the growing Genuine Pizza® group of casual pizza restaurants, Michael’s signature pizzas begin with well-made dough — including variations for rye and gluten-free. From there, unorthodox flavor combinations will surprise you, making new pizza possibilities. Pizza is just the beginning – it’s a jumping off point to colorful, delicious meals at home! Stay tuned for pre-sale information, and follow #genuinepizzaathome on Instagram for recipes and behind the scenes content. 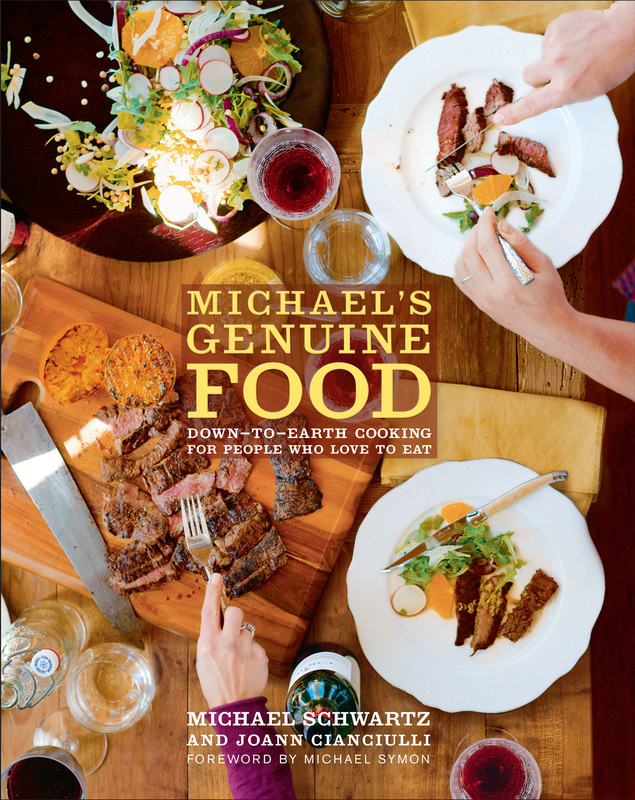 From Caramelized Onion Dip with Thick Cut Potato Chips, to Crispy Sweet & Spicy Pork Belly with Kimchi and crushed peanuts, Michael shares the recipes for dishes you know and love… and now can make at home. Signed and unsigned copies of his debut cookbook (foreword by chef Michael Symon) are available for purchase at our restaurants for $35, on-shelf at a local bookstore near you or through the genuine e-shop. Go behind-the-scenes on the cookbook shoot with photographer Ben Fink.